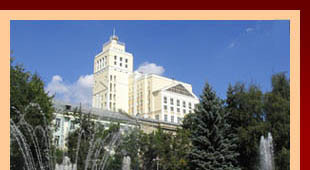 Voronezh State University was founded in November 1918 on the base of former Yurievsky (Derptsky) university. The faculty of Law was one of its four first departments. However, it didn’t exist long being closed down in 1919. In 1951 Voronezh branch of All-Union Distant Legal Education Institute was opened and the university re-opens the Law faculty on its base in October 1951. Today the Law faculty of VSU is the center of the legal education and science of Black Soil Region and Voronezh legal school is one of the most famous legal schools in Russia. Over three thousands of students, masters and post graduate students study at the faculty every year; the structure of the faculty includes 11 departments. The area of training is “Law”, the level of training is Bachelor of Law and Master of Law. The profiles of training are the state law, the civil law and the criminal law. The direction of training is "Law”, students get degrees of Bachelors of Law or Masters of Law at the end of the course. Students can choose the education profiles of the state law, the international law, the civil law or the criminal law. Professors of the faculty carry out 15 Master’s degree courses e.g. “Alternative Judicial Settlement of Disputes”, “Civil and Arbitrage Procedures”, “State and Municipal management”, “Civil Law, Family Law and Conflict of Laws”, “Protection of Human Rights and Freedoms”, “Land and Environmental Law”, “European Law and the Conflict of Laws”, “Organization of The judicial Power and Law Enforcement”, “Business Law”, “Employment Law and the right for social welfare”, “Implementation of the Constitutional Legislation in Socio-Economic Aria”, “Theory and the History of State and Law”, "Criminal law, Criminology and the Criminal-Executive Law”, “Criminal Procedure, Criminalistics and Operative Crime and Detection Activities”, “Finance Law. Fiscal Law”. It is also possible to obtain the qualification of “Translator for Professional Communication”. The educational process is maintained by highly-qualified professionals, amongst them there are 25 Doctors of Law (professors) and 80 Masters of Law (associate professors). In 2006 a branch of fund “Roman Law Research Center” was founded on the base of the department of Civil Law and Civil Procedure (the director of the Center is Professor E.I. Nosireva). In 2008 the National branch of multinational professional organization “Public Finance and the Fiscal Law of the States of the Central and the Eastern Europe Research Center” (the director is professor M.V. Sentsova). In 2011 “Center of Legal Innovations and Conciliating Procedures” was founded on the base of the department of Civil law and Civil Procedure (the director is Professor E.I. Nosireva). In the same year an academic practical center “Finances, Taxes and Natural Recourses” was founded in VSU on the purpose of the provision of extended education services, realization of education programs and consulting maintenance in the area of the financial and tax law (the director is professor M.V. Sentsova). In 2013 the faculty of Law opened a legal clinic (a collegiate legal consultation). With the participation of VSU Law faculty an Independent agency “The Institute of regional Legislation” was founded in Voronezh Region. The Law faculty is the cradle for well-known scientific schools in the areas of the international (professor P.N. Biriukov), constitutional (professor T.D. 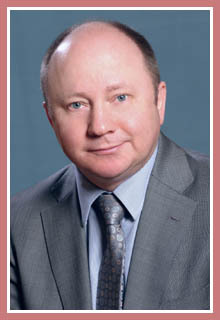 Zrazhevskaya), administrative (professor U.N. Starilov), financial (professor M.V. Sentsova), civil, procedural and arbitration procedural law (professor E.I. Nosireva) and criminalistics (professor O.Ya. Baev). 39 doctoral dissertations and hundreds of master’s dissertations have been written and presented at the Law faculty of Voronezh State University. The faculty of Law has its own Dissertation Council for scientific arias 12.00.99 – Criminal Procedure and 12.00.14 – Administrative Law and Administrative Procedure. The faculty publishes 16 magazines. The faculty of Law is located in in a newly built fully equipped building whose total floor space is over 10.000 m2. The faculty has an own fundamental library and provides free access to all essential legal data bases. The VSU Law faculty has prepared over 20,000 legal professionals. A large number of graduates have jobs in legislative, executive and judicial branches on the federal and local levels of power. The faculty enthusiastically develops collegial government. The students have also won medal places in the university talent show “Universitetskaya Vesna” and in the university Dorm Olympics. The dean of the Law faculty since 1987 has been professor V.A. Panushkin.